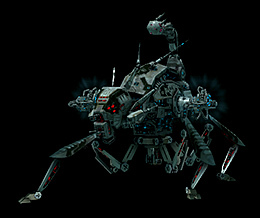 The final 4 robots of the new Syndicate line make their debut in patch 3.8.3, alongside of numerous balancing changes. In this blog we'll take an in-depth look at all these updates - spreadsheets warning ahead! "The Helix is a good all-rounder when it comes to electronic warfare. 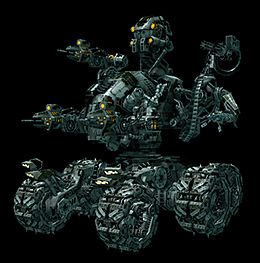 While it may not be the toughest bot around, combining a light chassis with an assault-class undercarriage makes it probably the fastest." "Employing our own technologies and incorporating all the knowledge that we have gained from the Nian factions, the Callisto is an elusive and flexible mech for tackling and shutting down enemy units." "Alluding on its appearance our engineers have nicknamed it "Doc". Aptly so, as the Legatus can administer a swarm of good old glowing hot bullets at a relatively long range for those in need. And that without writing out a prescription." "Exceptional energy output and defense capabilities - two traits that turn this heavy mech into an indispensable powerhouse on the battlefield. 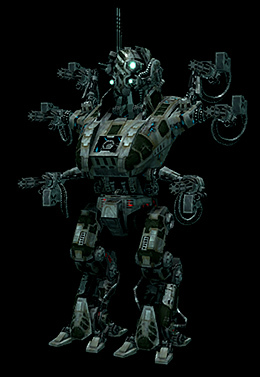 The Metis is the holy grail of remote support, which usually makes it a primary target in the eyes of enemy commanders." The last patch introduced diminishing returns when using tuning modules in the form of exponentially increasing accumulator usage. The changes were a bit on the brute force side, so in 3.8.3 we are refining this concept further and create some diversity between tuning module tiers. There is now an efficiency difference between tiers (efficiency meaning what you get from the module for the accumulator used). T1 and T3/T3- have balanced efficiency, T2/T2+ have higher efficiency (meaning the energy usage penalty is less than the provided bonus), and T4/T4+ have low efficiency (energy penalty is higher than the bonus). In practice this means that if you want to go for maximum bonuses using multiple high tier tunings, you'll experience exponentially higher accumulator usage with every additional tuning. However, if you are concerned about accumulator stability, you can choose lower tier tunings, which provide lower bonuses, but at much better efficiency, with lower accumulator usage penalties. The additional remote repair accumulator penalty has been removed, as the armor repair penalty also affects remote repair modules. To make things more simple, cycle time modification has been removed (hence all the 1s in the "After" table here) so the new balance is done using only accumulator modification and repair amount modification. EnWar tunings did not have a diminishing returns factor so far, quite the contrary actually. The more tunings you used, the better your drainers/neutralizers became. This is turned around with the new values, so efficiency is either balanced (T1/T2), or reduced (T3/T4) the more tunings you equip. The difference between drained and neutralized energy modification has been removed. Creating a difference in accumulator usage modifiers between the weapon types was a bad idea, now all types of weapon tunings use the same values. This retains the specific accumulator usage traits of each weapon and creates the same efficiency reduction curve when using multiple tunings. The same tier efficiency ratio differences are used here as for repair and industrial tunings. Cycle time modification has been removed here as well, efficiency is controlled by only accumulator usage versus damage modification. Long range firearms (autocannons) were using disproportionally less energy than their short range brothers, so their accumulator usage has been brought in line. In order to widen the gap between light and medium weapons, the hit dispersion of guns and the explosion size of missiles got increased. 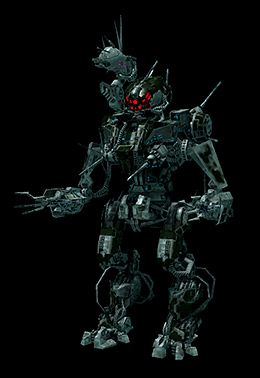 This increases survivability of light robots against larger robots (if the latter use medium weapons, which they mostly do). NEXUS-related extensions will be reimbursed during the patch in order to let players reconsider their usage. Increased the missile cycle time bonus of Troiar, Ictus, and Gropho from 1% to 3% per extension level. Doubled the mass of light armor plates and tripled the mass of medium armor plates. Patch 3.8.3 including the final wave of Syndicate robots and all the above changes will be deployed next week - the exact day and time will be announced soon. But really, this looks interesting and it will be more interesting then just seths online! the industrial tunings at lease really need work, I haven't tried the other ones yet but I'm afraid to at this point... I have maxed out accumulator extensions and 8 industrial specialist but can't get a t4 fit anywhere near stable. in a symbiot I have LWF t4 and 4 t4 rechargers... even swapping 2 of the tunings for a t1 and a t2 can't even allow me to run 3 t4 harvesters... I used to be able to run stable with all 5 and head full of t4 tunings. so unless you have a logi acting as a battery it is pretty much turning the high end indy equipment to expensive paperweights... and yes I realize that if I swapped the t1 for a t2 I could get a bit more stability but that is besides the point. it used to be that the t2 was good for until you had the skills for the t4 and the t3 was useless unless you couldn't afford t4 and had the extra fitting room. oh and by the way... this can all be done with a relatively new character, I only have 660k extension points and I put a lot into combat as well. the extension point grinding is a really nice touch for new players but really, make it so it is actually worth getting the top gear instead of sticking to junk because that is all that will work!